Visiting Nassau Bahamas? Schedule a Professional Massage Therapy Treatment & add relaxation to your vacation! Your Spa Massage Therapy Treatment can be set up at your Hotel, Airbnb or Yacht. Treatments include music, candles and hot towels. Professional Massage Therapy You Can Trust. Welcome to Wellness in Nassau, Bahamas! 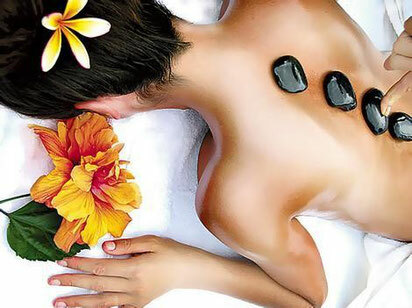 Wellness Spa Bahamas is a Spa Service for Professional Massage Therapy. Allow us to set up the massage table, light a candle, and create an atmosphere of serenity within your Hotel, Airbnb, Yacht or Vacation Retreat. Not sure what to expect? Visit our FAQS Page for more information on massage therapy and mobile spa services. Make your vacation to Nassau Bahamas memorable by booking a luxurious spa treatment - A professional 80 minutes spa massage in your Hotel room or Airbnb! Convenient and relaxing! things to do and great restaurants. The most amazing service of my life :) and I'm hard to please haha. Had the most amazing guide and massage and made a great friend. My husband was very happy with his massage and she was very professional and had some good advice for him to improve his back. Thank you so much. I've received several massages from this mobile service, and I find them to be quite healing. I am always left with a sense of well being. And the facial! I really enjoyed the After Sun Soother. I spend lots of time in the sun, and I could feel the cool healing properties on my over exposed cheeks and forehead. Felt like I had a new face! Looking forward to another facial and massage in a few weeks. My massage was the bomb! It was very relaxing and relieved a lot of tension in my back and shoulders. I would definitely schedule again. I love the website! Very informative and educational! Our company has used this service for the past few months, whether it be for personal or professional (referring clientele) and every experience was commendable and worth it. Look forward to continued work! Best gift for Mother's Day! Relaxation Supreme! Copyright © 2020 Wellness Spa Bahamas. All rights reserved.